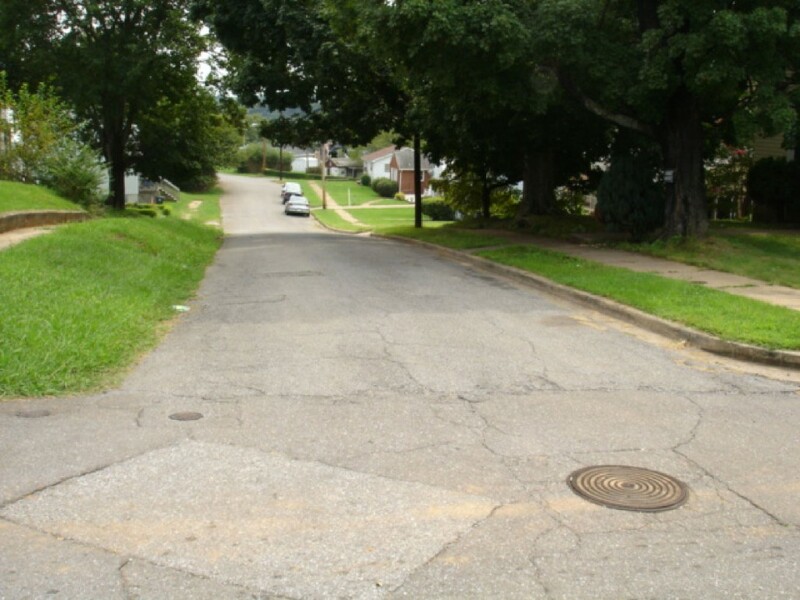 WW Associates was contracted by the City of Lynchburg to replace water lines to improve fire flow capacities. The existing water lines serving the residential area around Knight Street were reportedly installed during the 1910’s and consist of a network of 2-inch and 4-inch piping. Approximately 3,900 linear feet of new 8-inch water line piping is required to replace the existing water lines along Knight, Monroe, Taylor, Wise, 17th, 18th, and 19th Streets. New water service line connections are provided from the new water main back to new water meters. Field surveying of existing features, such as property lines, right-of-way lines, streams and creeks, culvert pipes, bridge abutments, and underground utilities will be required for the design of the water line project. Field survey included property research, property line ties and roadway monumentation ties, and topography and utility location. Project also included preliminary design, final design, and bidding assistance phases.